BCA, MCA and CIT are the main courses in IGNOU. Most of the IGNOU students are enrolled in one of these courses. 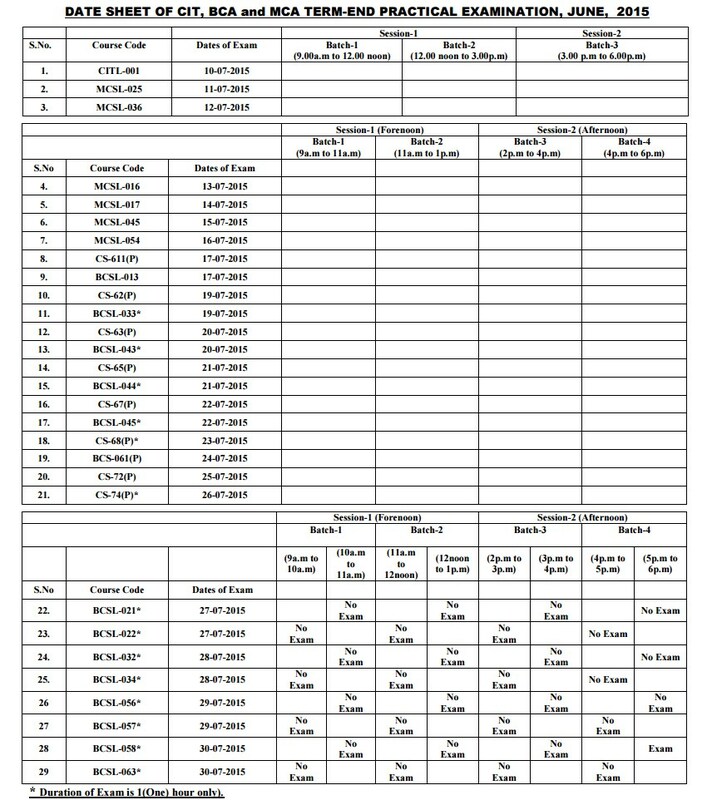 these are the practical course for which you have to attend the practical classes and if your attendence is 70% or more then you can attend the practical exam. If you skip the practical exam then you can not complete your programme. 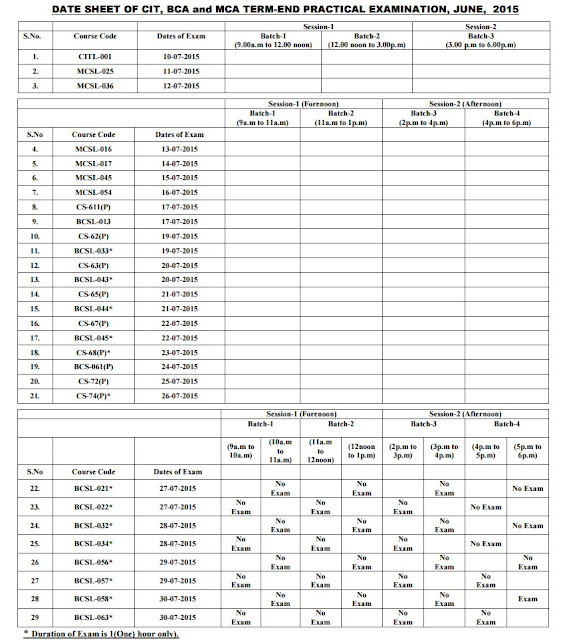 We are sharing the Date Sheet of Practical Exams 2015. If you have some other questions regarding, Practical Question papers, IGNOU Assignments then you may ask in Comment section or you can email us.